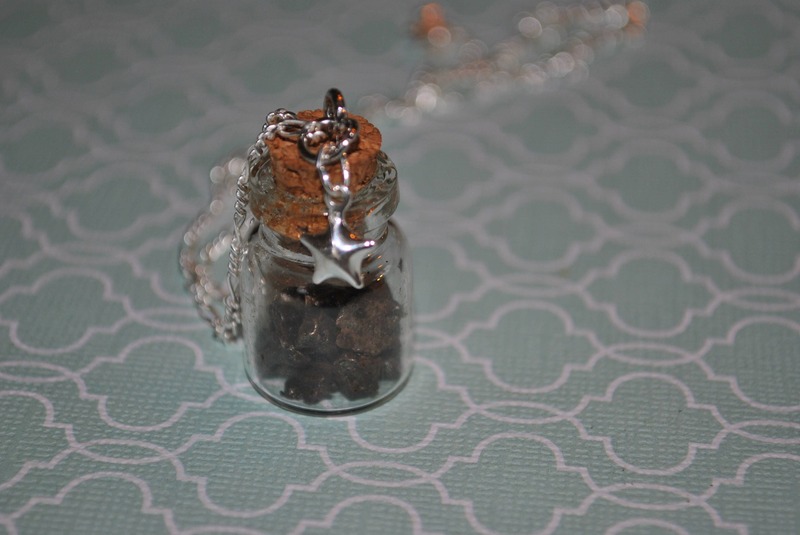 Genuine Meteorite fragments are displayed in a glass bubble pendant suspended on a sterling silver linked necklace. 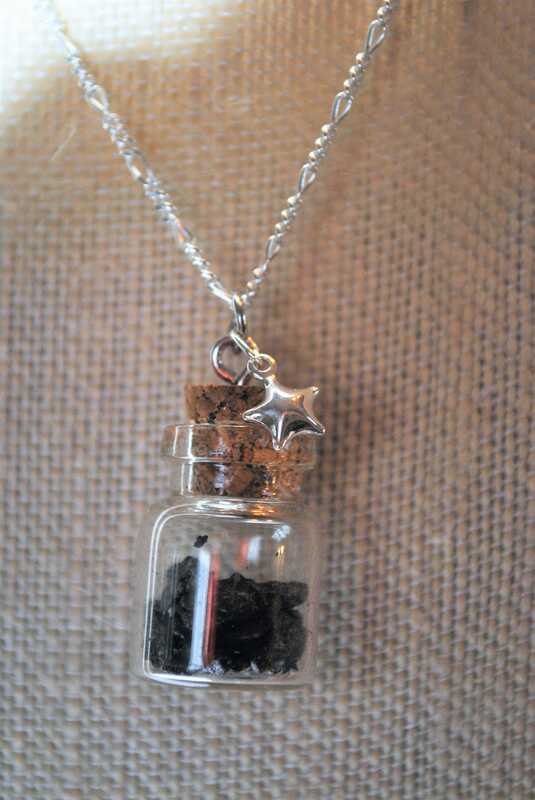 A sterling silver 3 dimensional star adds fun and interest. 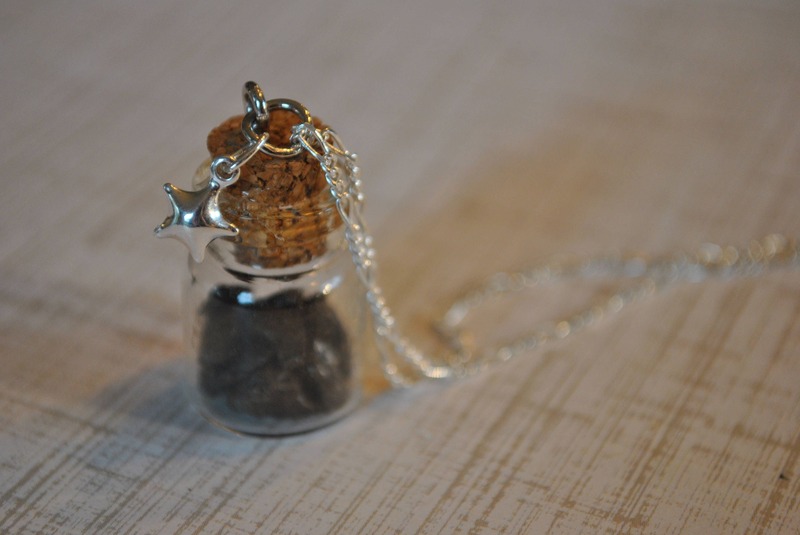 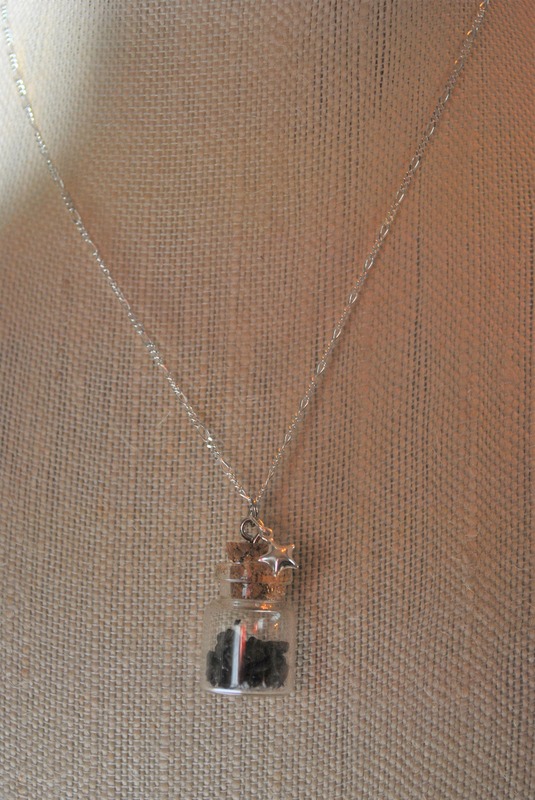 A fun way to wear tiny rocks from outer space!